Glenanne Sports Club was formed in 1943 and was known then as Graftonians as it was originally the Staff Sports Association of the Grafton Street Department Store, Brown Thomas. The name Glenanne emerged because the club premises were originally on the grounds of St. Anneâ€™s, a small â€œbig houseâ€ estate running from the KCR up to the back of Kimmage Manor and which the historic river Poddle ran through. The river was banked high up to 15 to 20 feet giving the premises a glen like appearance, hence the name. Since 1984 Glenanne Hockey Club has been located in St Marks Community School, Tallaght, and Dublin 24 where the club is represented by 3 Menâ€™s Teams, 2 Ladies Teams and a vibrant Junior Section. The Menâ€™s and Ladies have both enjoyed success in Leinster and Irish competitions with the menâ€™s most impressive achievement in Europe when they took home the 2008 European Club Challenge Trophy in Paris after an epic win over hosts Montrouge after extra-time. These levels of success over the past 20 years have led to a number of players gaining Senior International recognition for Ireland in both Menâ€™s and Ladies squads and also Glenanne members coaching and umpiring at International levels. 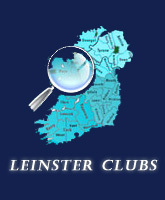 Our Menâ€™s compete in the EYIHL, the all-Ireland Irish Hockey League and our Women in the Leinster Senior Division 1. We provide world class coaching, playing facilities and competitive opportunity to members and are always delighted to welcome any new members of any ability or age!